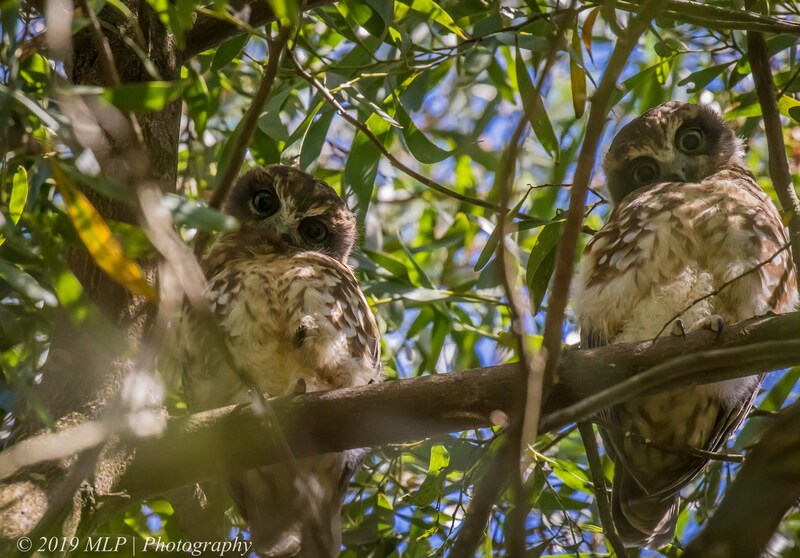 Some friends who live on a lovely property that backs onto the National Park that I visit most weekends gave me a tip that there was a family of Boobook Owls roosting in a dense stand of Blackwoods near their property. 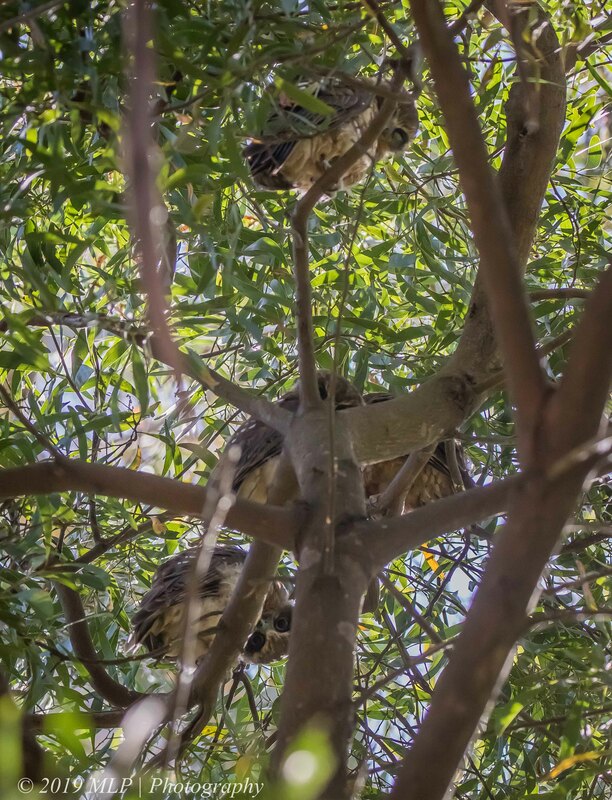 I found the owls and spent some time trying to find an angle through the branches and up into the canopy. It was very tricky shooting with the high sun and bright sky. 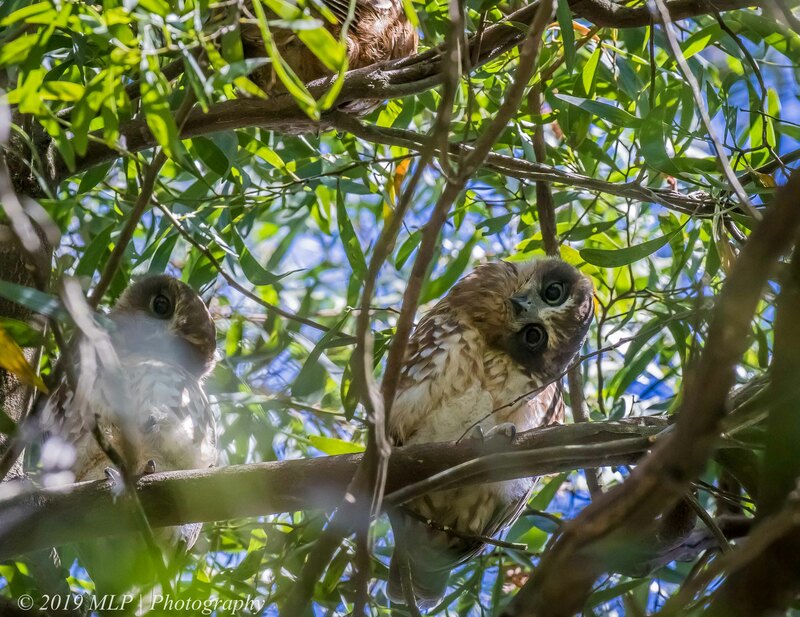 The juveniles were quite curious about my antics and watched me as a I watched them. 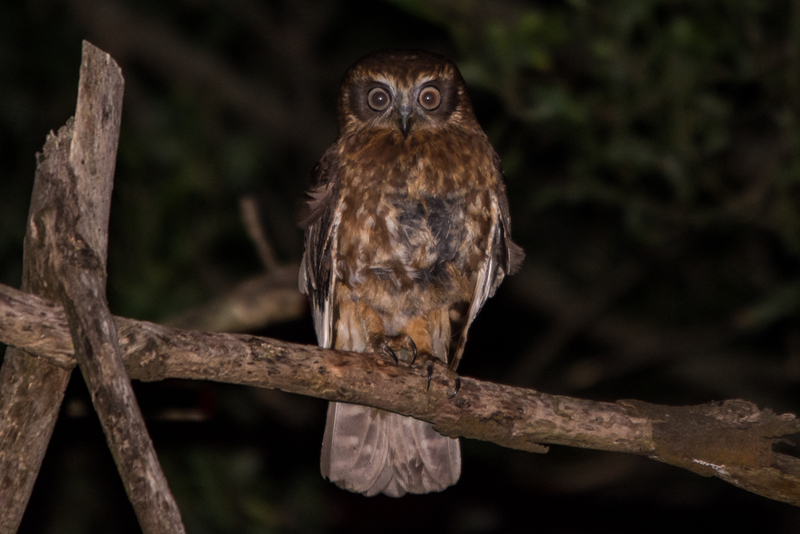 I am very happy when I get a lifer (a bird species that I have never seen before) – I am even happier when I get to photograph one like the beautiful Owlet-nightjar. That day became even better when I found another unexpected bird and also managed to photograph it. 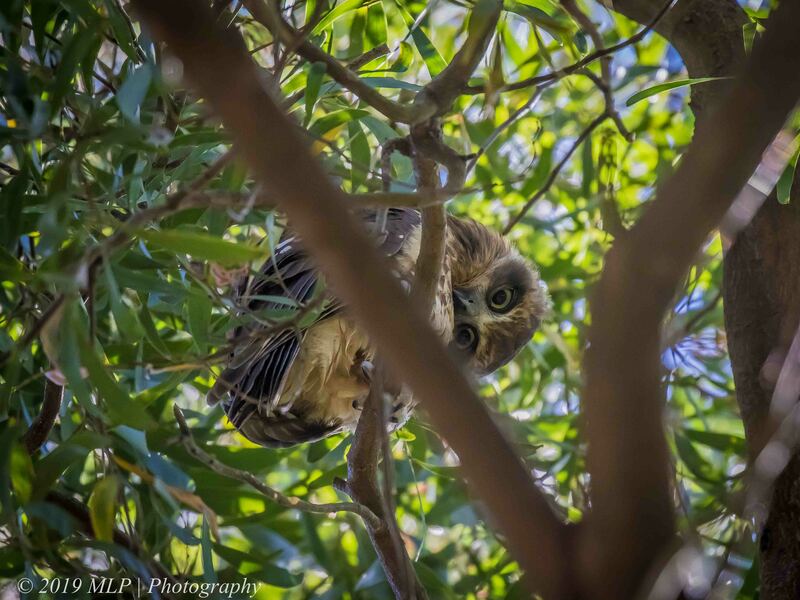 The Boobook Owl is more often seen at dusk and during the night when the light can be very tricky. 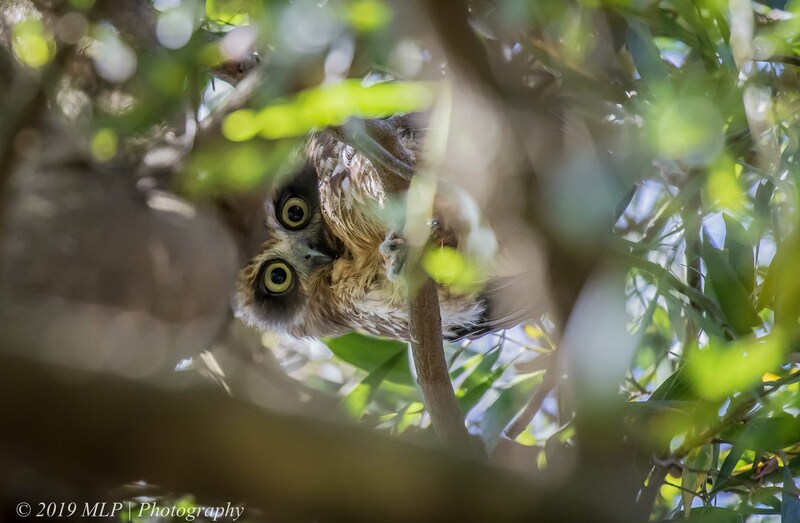 The one below was found within a clump of smaller gum trees. 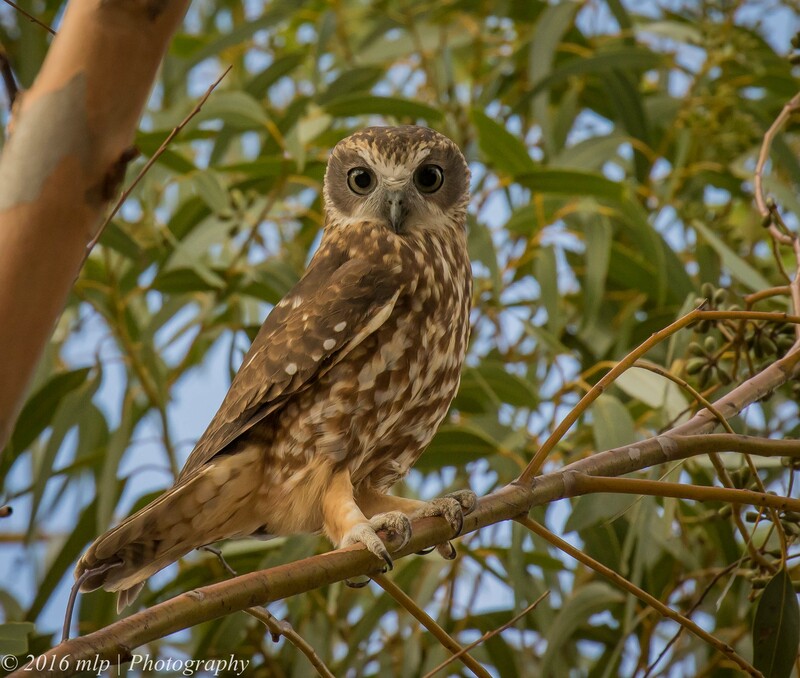 I think it was trying to roost for the day but was being harassed by groups of White-plumed and New Holland Honeyeaters. 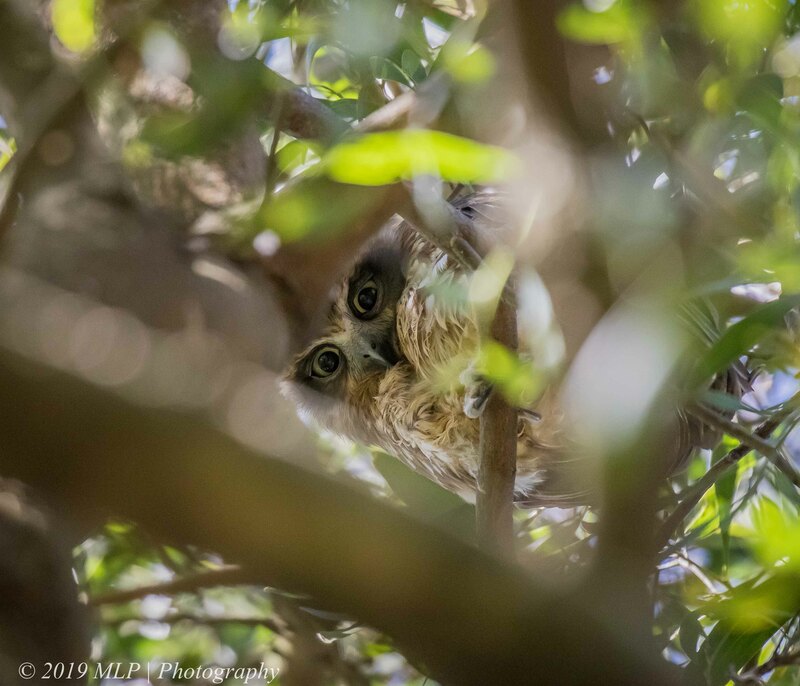 Heard from a distance, the ruckus was enough for me to move around the trees looking to see whether there was a raptor causing trouble – I was surprised to find this quite alert Southern Boobook. 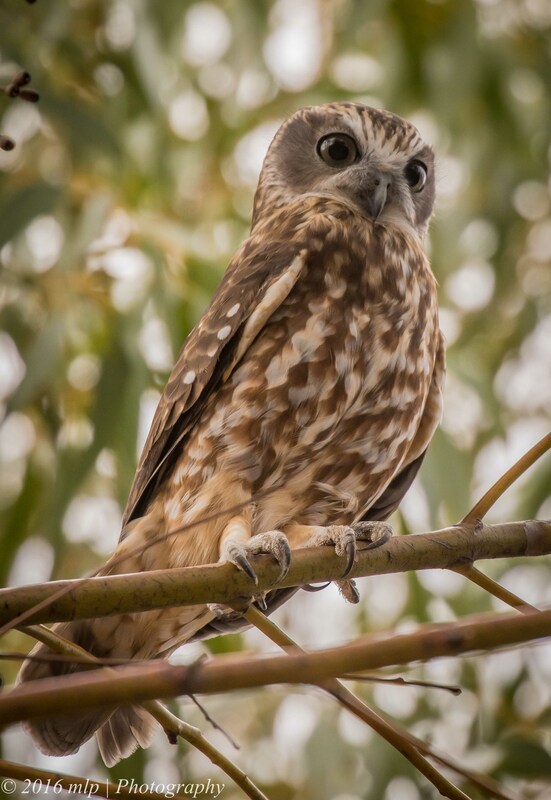 After an afternoon of wandering around Elster Creek and Elsternwick Lake with the local birding gang , I went home and was reviewing the images of the day when an sms came in from Gio (a local naturalist) that he had found a Southern Boobook Owl at the local school above their veggie patch. 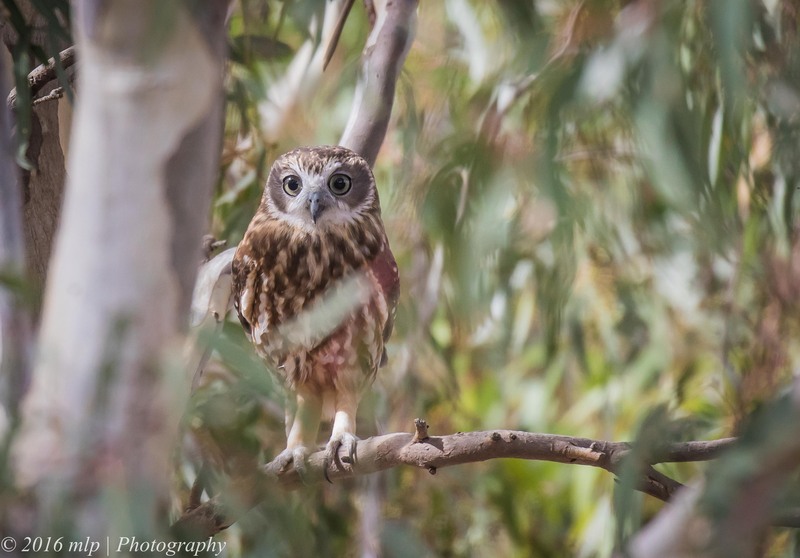 Postponing dinner, gearing up and heading out in a rush I found Gio, and soon after the Boobook high up in the Red Gum. 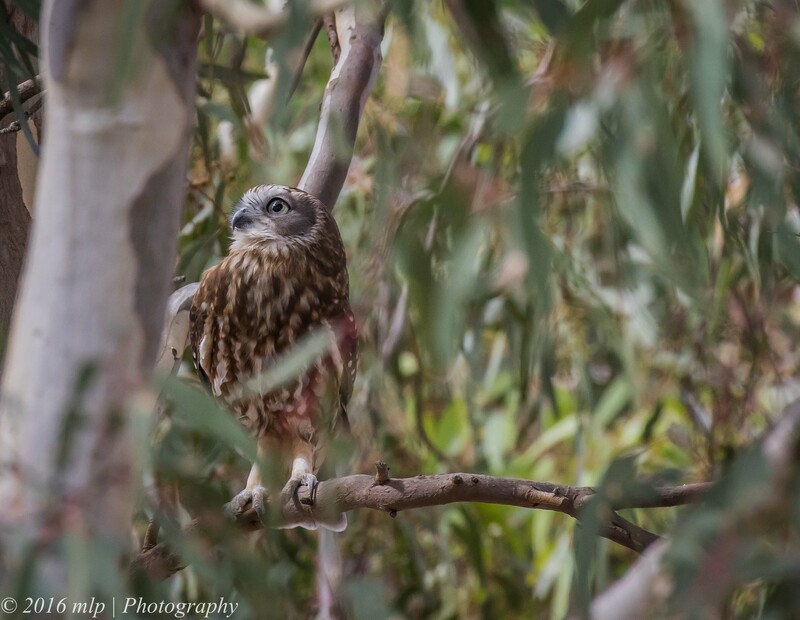 I have seen a few owls and Tawny Frogmouths locally lately and will hopefully see many more. It is a good sign of a healthy environment. At the Helipad we waited for nightfall and met up with a group of birders including Tim B. who helped us ID the White Throated Nightjar. The nightjar made two laps over our heads and was gone…not to be seen again. 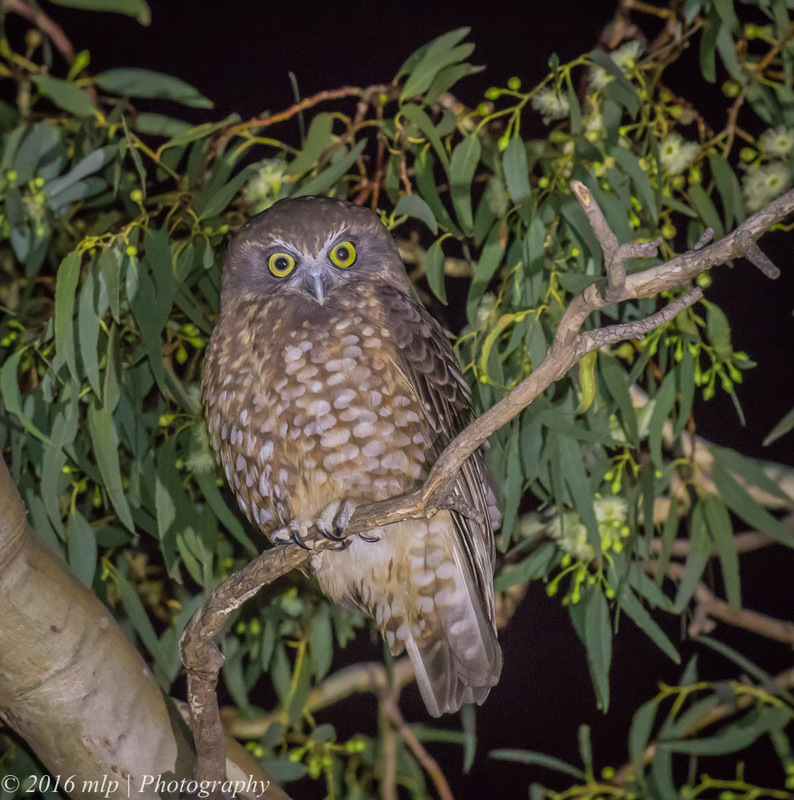 We were happy to have seen it and glad that Tim was there to help ID it – another lifer! No pictures unfortunately. 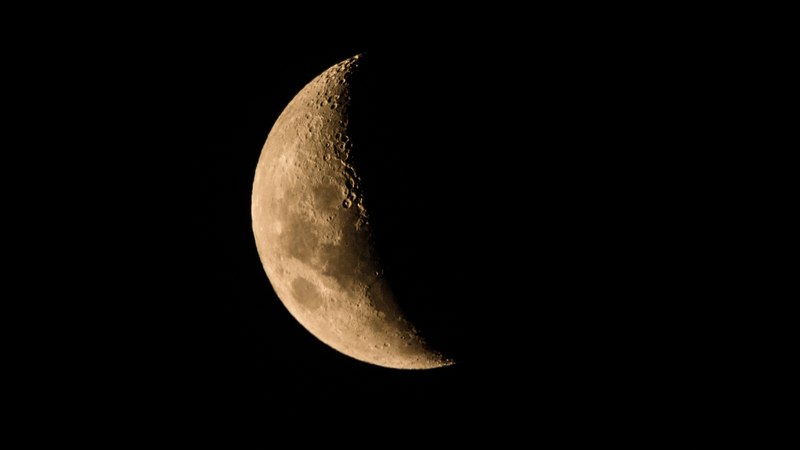 John took a few pics of the moon while we waited for more birds to turn up. 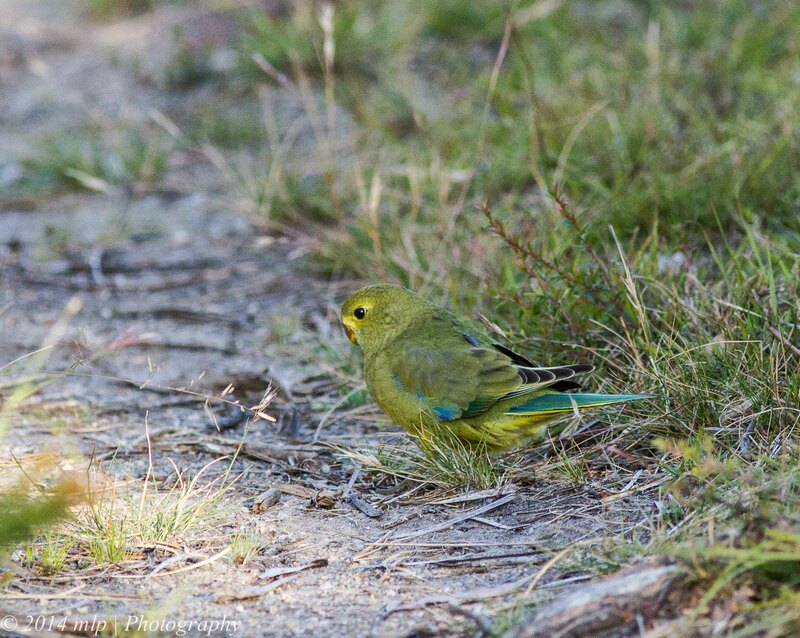 We had a walk along the track behind the helipad and heard a heap of Boobooks calling but nothing else. 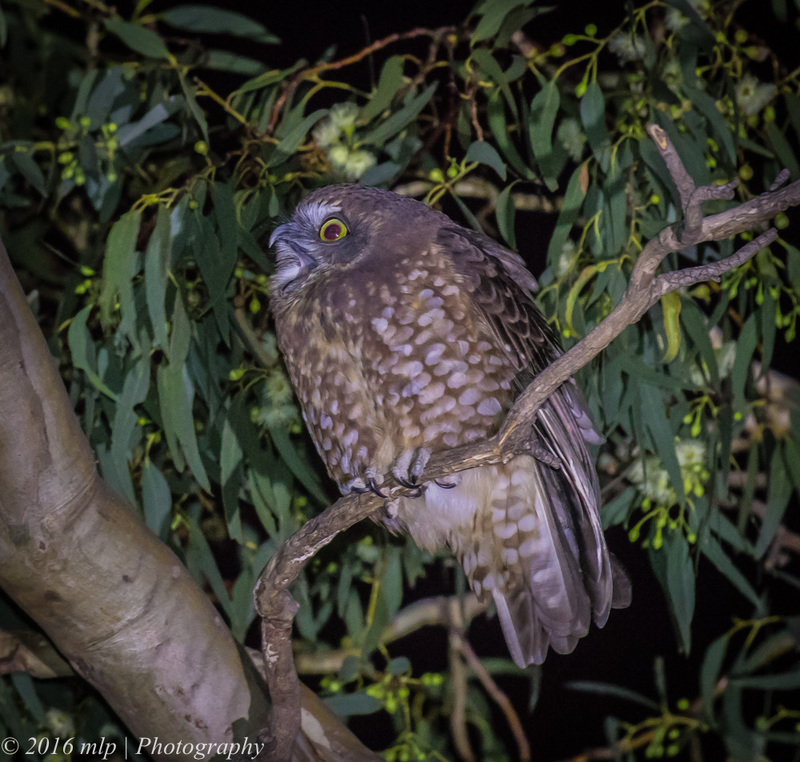 After calling it quits at 11 pm we drove back via Gembrook and a Boobook almost flew into the windscreen. 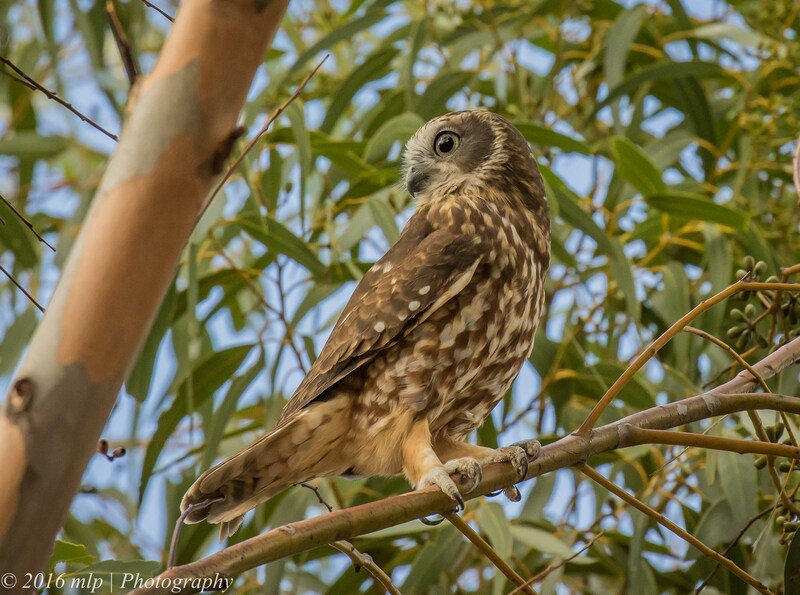 We stopped and drove back and found the Owl on a tree branch on the side of the road and got a few pics.